This blendable pencil gives you eyebrows with natural looking definition – no stencils needed! Our top selling brow pencil was designed with an oval tip, allowing you easily fill in the brows and mimic the look of your natural hairs. 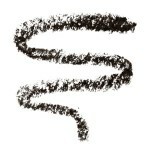 The hard wax formula wont smudge once it sets and comes in 3 shades, light, medium, and dark.